Paul L. Fischl was born and raised in Evanston, IL, with his parents and his five siblings. He is a proud graduate of Evanston Township High School, where he swam and played water polo. Paul’s undergraduate degree is from the University of Illinois, Urbana-Champaign, and his D.D.S. degree is from the University of Illinois at Chicago, where he met his wife, Marie. Paul was president of both his undergraduate and his dental school fraternities. Following dental school, Paul joined his father, Richard, in the Evanston dental practice, and he also taught in the Oral Diagnosis Department at the University of Illinois College of Dentistry for six years. His wife, Marie, joined Richard and him in practice a couple of years later. Paul enjoys continuing dental education, especially through the L.D. Pankey Institute in Florida, where he has attended multiple courses, and where he has also helped teach. 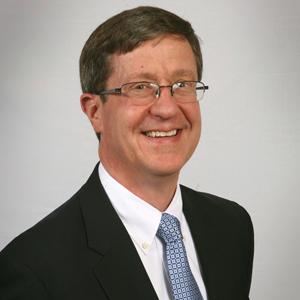 Paul has served as President of the North Suburban Branch of the Chicago Dental Society, and as a member of the Board of Directors of the Evanston Chamber of Commerce, and the Glenbrook South Titan Booster Club. In October, 2009, Chicago Magazine named him one of Chicago’s Top 40 Dentists. Paul enjoys biking and platform tennis (paddle), and he is a fan of computer technology. He and Marie live in Glenview, and they enjoy spending time with their four children. Their son recently graduated from The United States Military Academy at West Point. Fun fact: In 1970, Newsweek ran a cover story entitled, “What’s Wrong with Our High Schools?” Evanston Township was featured in the article, and a photo taken in the E.T.H.S. hallway during the passing period shows Paul as a freshman looking right at the camera.